This large (39 x 29.5 cm) leaf is from a Missal made in Germany soon after the year 1500. The leaf demonstrates a high contrast between leaf surface and inks. 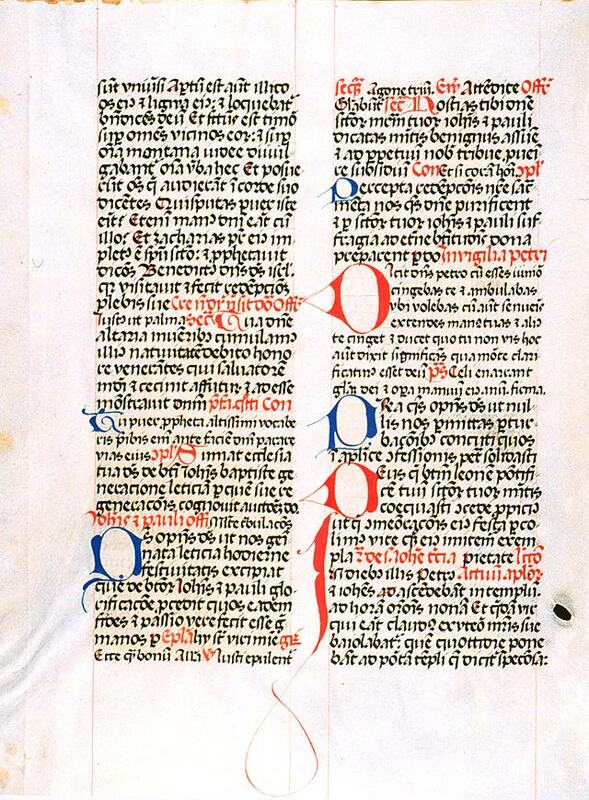 There is a contents abbreviation in the top center of each recto, possibly a gathering guide (letter + number). See Denison University Leaf 49 for more information about this manuscript. Text: Not yet identified. A scan of the recto is not currently available.